If you like evidence of creativity among the unwashed masses (I have not showered today, nor do I intend to) I suggest taking a gander at the 55 Funniest Signs From the Rally to Restore Sanity and/or Fear. 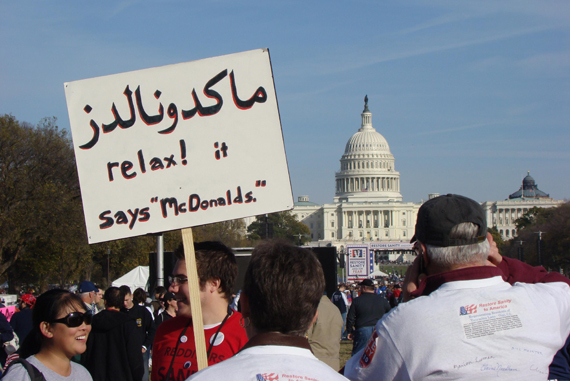 I'm not sure which is worse, the Arabic or actual McDonalds. Slow Down! There's Thanksgiving First!